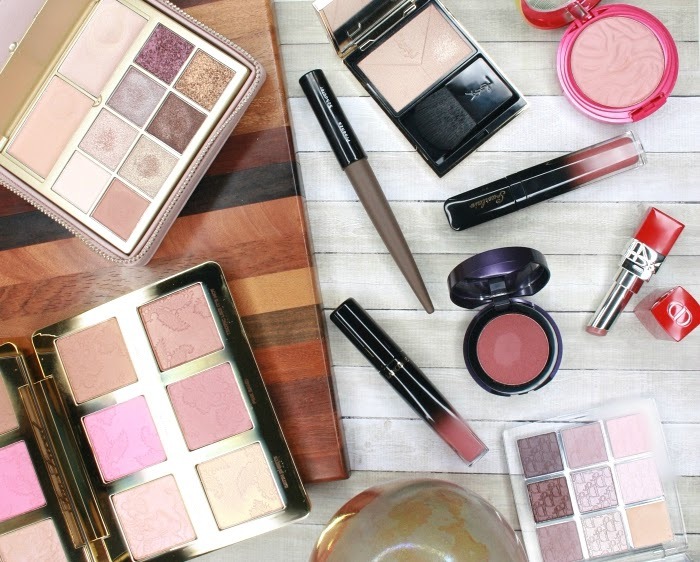 Do you like when makeup brands create limited edition packaging for their most popular products? Guerlain just did with their Colours of Kisses fall collection, a new line of five lipsticks in their iconic KissKiss formula coming in colorful cases. Keep reading to see more of the one I bought, Darling Baby! The regular tube of the KissKiss lipstick is a glossy black in the classic, sculptural 3-cube design, but Guerlain has made different variations in the past. First, it used to be gold (like the one on the top of the picture above) until the most recent reformulation. 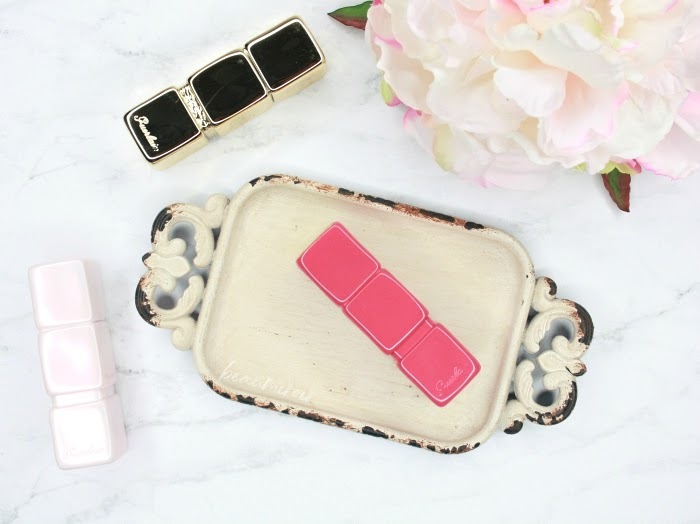 Then the brand also has a white version for the Roselip Tinted Lip Balm, a brushed gold for the KissKiss Matte, and recently made a pale pink case for the spring edition KissKiss LoveLove (also pictured above). But what makes the Colours of Kisses collection unique is that the color of the tube matches the shade of the lipstick inside. So we have 5 different shades of lipstick in 5 cases of different colors! Unfortunately I haven't been able to see them all, because in the US this collection is a Sephora online exclusive. One important thing to note: the lipstick shades are not new, in fact all five are part of the permanent range. Only the packaging is limited edition! 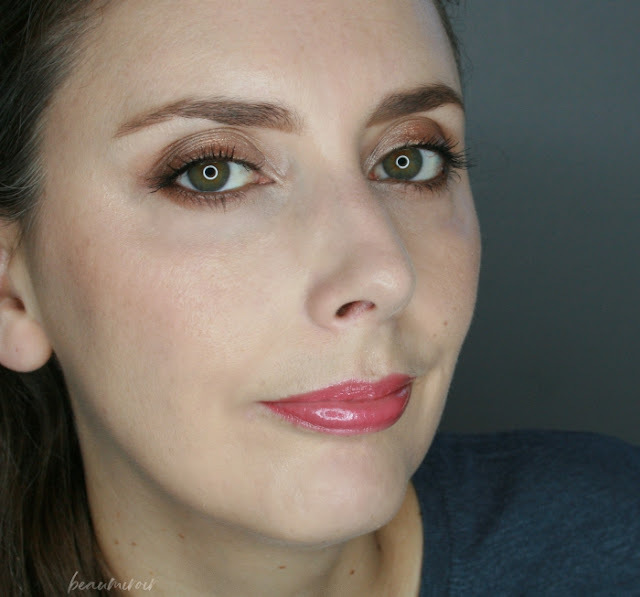 I hadn't tried a KissKiss lipstick since the last reformulation a couple years ago, so this collection felt like the perfect opportunity for me to re-test it. 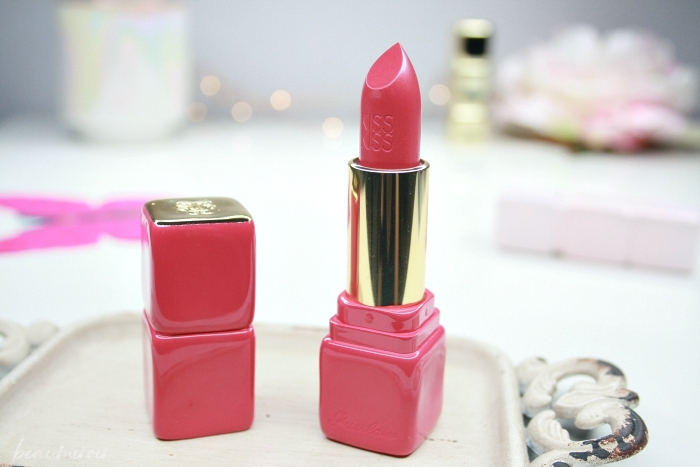 The KissKiss is described as a "creamy shaping lip colour", but I found Darling Baby to have more of the modern gel-like formula that most high-end French brands adopted a few years back. 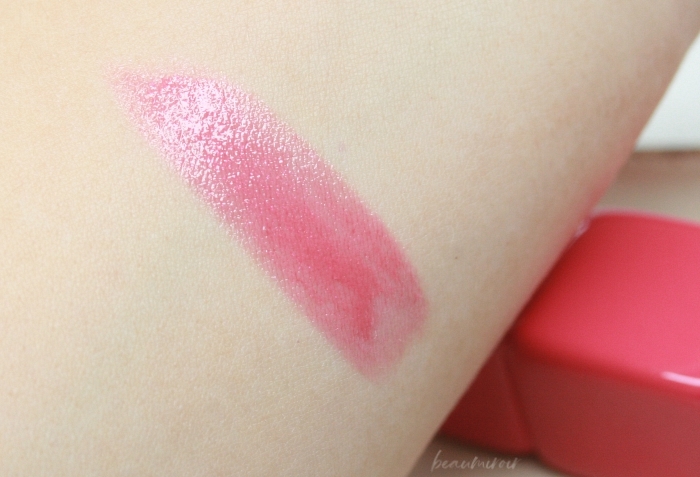 The texture melts on the lips and delivers a thin layer of lightweight, balmy lipstick. 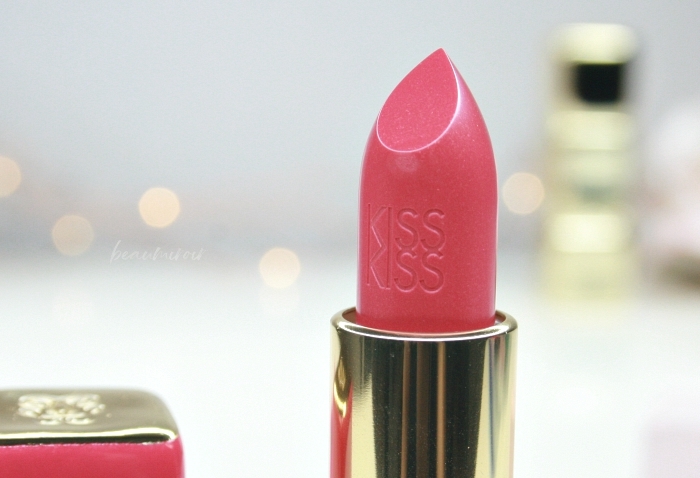 The KissKiss glides on the lips really easily and applies pretty evenly. I can feel the grittiness of the shimmer while I swipe it on a little bit, but it's not scratchy. In fact I find the formula very comfortable to wear: it feels very light but cushy and hydrating, kind of like wearing a thin version of a rich lip balm. Wear time is surprisingly good for such a lightweight and shiny lipstick, it lasts half a day until I eat. Darling Baby is a semi-sheer pink coral with golden pink shimmer and a glossy shine. It's a vibrant pop of happy color that brightens the whole face, but is made more wearable by the semitransparent, shiny finish. 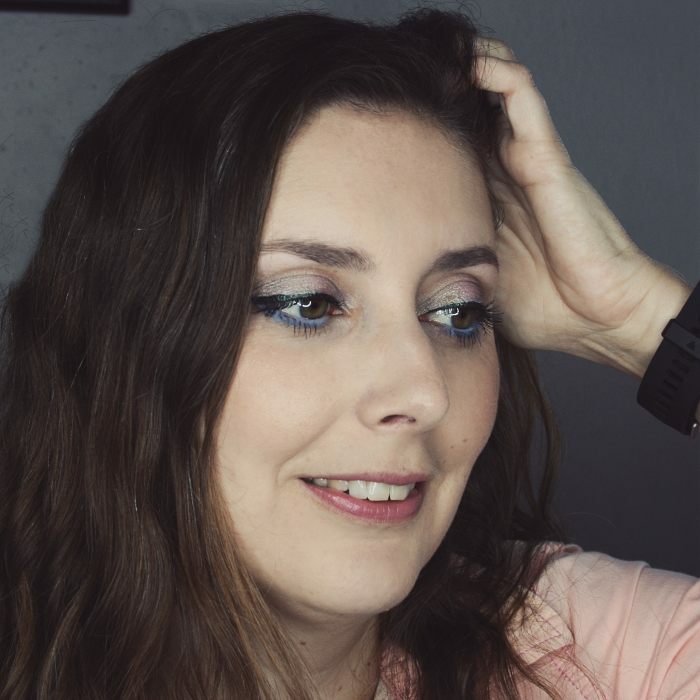 I love how uncomplicated and foolproof this lipstick is: I just slap it on directly from the tube in 5 seconds, no lip liner or brush needed, and I get a very pretty glossy lip. 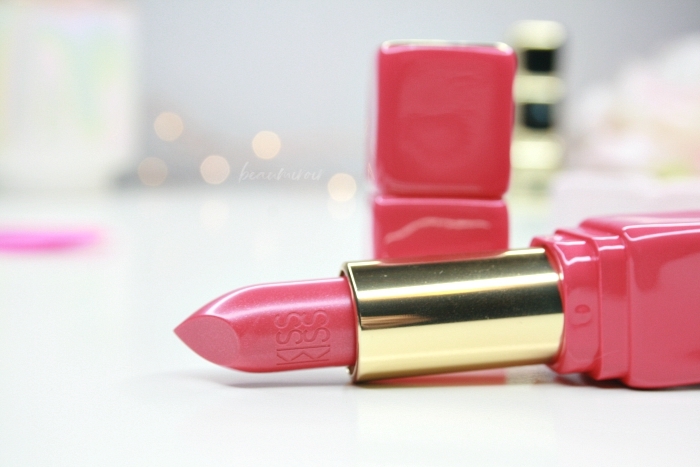 All the shades that Guerlain selected for the Colours of Kisses are rather bright and summery, which I found rather surprising for a fall collection! Darling Baby is a very pretty color even though it might not evoke autumnal hues, and I think it can work on a variety of skin tones. 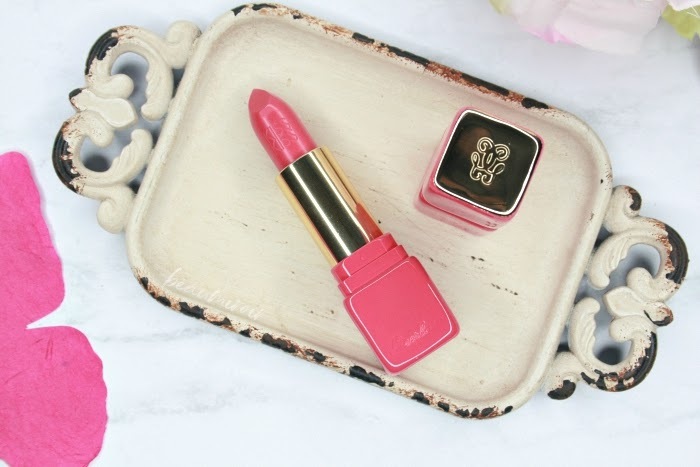 If you are a Guerlain lover or a lipstick collector, I think you'll want to add this limited edition colorful tube of classic KissKiss lipstick to your makeup trove! 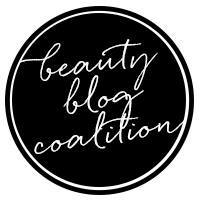 Darling Baby is also a very wearable, bright color in a comfortable, foolproof glossy formula.